Colombia´s political future has been radically redefined in the last several weeks because of a new scenario that has evolved thus has left out current president Álvaro Uribe Vélez, who will not be running for a third term in the Casa de Nariño. As a result, the election for Congress and for candidates of the “Partido Conservador” and “Partido Verde”, that were selected by the internal consultation of their parties (Colombia’s version of a primary), that took place on March 14th and the presidential ballots scheduled for May 30th have become the most attractive and competitive ones in recent Colombian history. The Constitutional Court, the major judiciary body in charge of defending the values of the Constitution of 1991, declared that the referendum intended to reform Colombia’s basic document, which was meant to facilitate the indefinite reelection of an incumbent president, is inherently unconstitutional. This single decision marked a huge change in a large number of pressing issues for Bogotá, not only regarding internal politics, but also because it reaffirms the potential for fresh foreign policies, national security initiatives, differences in the public response in support or disapproval of a new administration, and the social concerns that have not exactly been a democratic cornerstone for the current government. What is the significance of the Court’s decision? The Constitutional Court’s ruling invites some analysis; it sets a major goal post for Colombian democracy as it boldly states that the Rule of Law has not been overthrown by what Uribe and his closest political advisors have called the “State of Opinion.” In fact, even though the Uribe administration received incredible approval ratings of more than 70%, which only diminished after the scandals of the agrarian program Agro Ingreso Seguro and the Social Emergency decrees, the Rule of Law remained unyielding. The “State of Opinion” doctrine argues that the will of the people should be the only force that moves the decisions by the government’s branches. The Court’s decision, though, upholds regulations that the law has imposed on certain processes specifically aimed at preserving the country’s democracy, showing that in Colombia, collectivism that gives exaggerated power to the executive is not possible under the Rule of Law. prevented a deterioration in the democratic game rules which intended to benefit the current president, through an initiative that was not genuinely popular, for it was generously supported by government contractors that overflowed the legal limits of funding. Therefore, although [it] has prevented the holding of a referendum, the decision of the Court has been deeply democratic. [O]ut of the 100 congressmen 14 are direct heirs of Congress who have had trouble with the law by some of the most notorious scandals of this or any political season. ‘What empowers Mafia representation in Congress is not only that choice is made, but that is part of the coalition government,’ said Claudia Lopez (Coordinator of the Mission for Electoral Observance). The main challenge for the Congress will be to regain its legitimacy, lost after the scandals of politicians closely related to illegal war lords, both left-wing (FARC-politics) and right wing (para-politics). As a result it can move towards healing the political sanity of the country and save face internationally. When it comes to foreign investment, a respected and legitimate Congress is as important as a respected and legitimate executive. As the last report of “Transparencia por Colombia,” a respected Colombian NGO, suggested, this political institution has a very high risk of corruption, and has a 51% rating of unfavorable image among the people. Congress has copious and diverse tasks ahead that require its hard work and commitment. In the wake of the constitutional referendum diverting attention away from political dialogue, Congress was prevented from addressing other key issues that, at the end of the day, delayed the agenda for at least a year. For instance, the important political reform that would have Congress change the procedures of elections as well as the rules to which parties are expected to adhere, was approved last year but still lacks a statute that forces political exhorted to be more transparent in their campaigns. Paradoxically, such a reform has become a very important issue during these elections, because its legitimacy is in doubt after the PIN party won 12 seats in the Chamber of Representatives and 9 seats in the Senate. This newly created party ironically has been named as the “para-list,” due to the notorious connection between paramilitary leaders, other politicians convicted for the “para-politic” habits, and most of the party’s members. It was suspected that the party has used the patronage machinery left by former para-politics movements to achieve this surprising success. A significantly improved victim’s reparation bill is another major topic that the new legislature needs to face in the near future, and whose operations were highly criticized during the Uribe government. After giving many members of the paramilitary the opportunity to effortlessly re-enter civilian life, Uribe did not concern himself with the victims of the violence caused not only by paramilitary’s actions, but the guerillas and the state itself. It is still too early to know how the relationship between the executive and the legislative branches will develop. It will depend on which candidates win, and which interests each party prioritizes. However, what is clear is that the right wing made itself stronger in the congressional elections, making a bleak future for progressive bills and social measures that address issues of social justice. What would each candidate for president bring to the table? As soon as Uribe’s intentions to stay in office proved impossible, a whole range of specialists began to discuss the following: how the campaigns were going to play out from that day forth, who were going to be the winners and losers, if there was going to be a second round or not, and all sorts of asseverations about the probabilities of getting to the Casa de Nariño. However, the ensuing media discussion has neglected the candidates’ political positions in the wake of the hurricane of electoral expectation caused by Uribe’s removal from the presidential race. It is of great importance to analyze what would happen with the direction of Colombia’s foreign policy now that Uribe will no longer be president, as well as how Colombia still could aspire to be Washington’s closest ally in the region, or not. 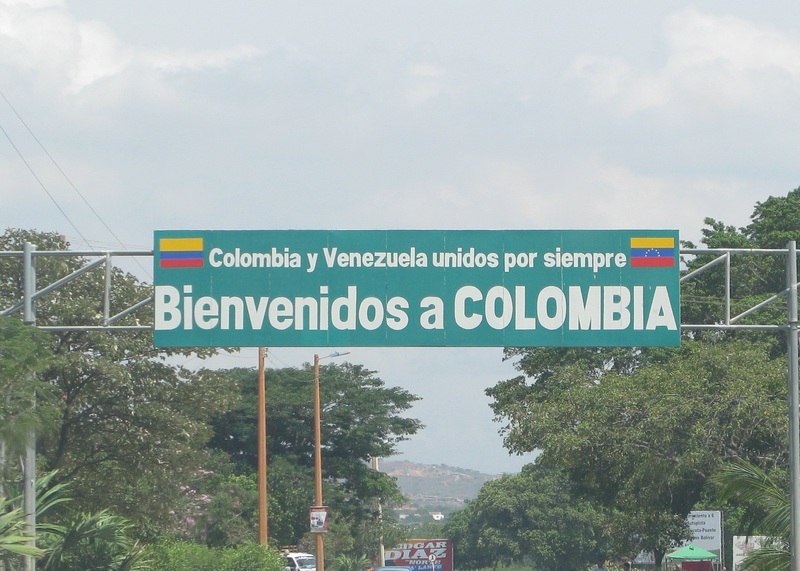 Another major issue regards the relations involving Colombia, Venezuela, and Ecuador. Most of this topics are closely related to the policy of Democratic Security of Uribe, if it is subject to change would impact a large number of other issues. Juan Manuel Santos, former Minister of Defense under Uribe, seems to be in the most favorable position to lead in the first round of the presidential elections on May 30th. However, it is very unlikely that he will receive more than 50% of the votes, which means that a second round is to be expected. Santos claims to be the true heir of Uribe’s highly successful Democratic Security policy, as former Agriculture Minister Andrés Felipe Arias, the only other candidate that claimed the same Uribe-linked title, lost the internal consultation of the Partido Conservador to Noemí Sanín. Santos’s party was clearly the big winner of the legislative elections, winning 28 of the 100 seats of the Senate (a big success considering the Senate is composed of 7 parties) as well as the majority in the Chamber of Representatives. If the Partido Conservador (that is the second party with the major number of seats in both chambers) maintains its affiliation with Uribism, Santos would not have much trouble passing bills in a Congress that is virtually at his service, as a third party, PIN, is also latched to Uribism. However, this apparent leadership would need to be legitimized by Santos who is not particularly renown for being charismatic, or warm-hearted, characteristics that would be noticeably absent when contrasted against the past 8 years of the nation’s most charismatic political figure in the last 25 years. This matter would affect not only his relationship with the nation, but also with the international community. His vision is most similar to the Uribe administration, which means that he would still try to be a close friend to the White House. Since the arrival of Obama to the presidency, Washington has revamped its relations with Colombia, which means that Santos would need to be a dedicated and public-relations minded president, to facilitate the continued growth of this special bilateral relationship. Santos has said that a social agenda needs to be improved, and that identifies with Obama’s policies within his own country. Furthermore, he has made it clear that he would address the concerns American Democrats have about human rights in Colombia, yet still maintain his belief that the “snake is still alive” (a phrase used by Uribe to refer to a still unattained military victory against left-wing guerrillas) and that he would keep the armed forces well-furnished to finish off the FARC. This discourse of his still seems to give priority to the security issue over any other. Regarding foreign relations, the most important problem if Santos becomes president would still be the relationship with Ecuador and Venezuela, Colombia’s neighbors and historic trade partners. The potential dynamics between Santos, Hugo Chávez and Rafael Correa make Uribe and the Venezuelan and Ecuadorian presidents almost look like lovers. Some of the most difficult issues between Colombia and its neighbors occurred while Santos was Defense Minister. For example, after the operation of Colombia’s armed forces in the border Ecuadorian province of Sucumbíos, where Raúl Reyes (then the number two of the FARC leadership) was killed, Rafael Correa’s government ordered the arrest of Santos. In addition to this, the Jaque Operation in which Colombia used actors to portray Venezuelan reporters from TeleSur created much tension between the two countries as did the lease agreement signed between the U.S. and Colombia for the use of military bases, as Chávez and Correa argued that U.S. presence was threatening the sovereignty of countries in the region. If Santos were elected, the reconstruction of these relations would be more difficult and could take a distinct approach from that of the previous administration. On March 14, Noemí Sanín won the primary elections in a close competition with Andrés Felipe Arias (by only a 1.7%). After a problematic counting process, on Saturday March 20, she was recognized as the only candidate for the party of blue awnings. Sanín’s experience in the political arena is comparable to her ability in international affairs, as she has considerable experience in this matter; she was ambassador to Venezuela in 1991, twice to the United Kingdom from 1995-96 and 2008-10 respectively, and once to Spain from 2002-07. She also served as Foreign Minister from 1992-94. Her undeniable international visibility is an attribute that could prove indispensible in her campaign. Her nature as a charismatic woman, compounded with her close relationship with American politicians, is likely to sustain Colombia’s and Washington’s interests and interdependence in the near future. She is a strong defender of Uribe’s security and investment policies, both closely related to the U.S., so her policies will most likely reassure Washington that Bogotá remains a strong ally. This same ability would also aid in the effort to reconstruct the relationship between Colombia and its neighbors, as she has proven to be a diligent politician in this respect, “in 1991 (when she was Ambassador in Caracas), she was called Colombia’s ‘secret weapon’ because of her role in the improvement of the bilateral relations.” In an interview with El Tiempo’s political editor Nelson Parra, Sanín suggested that both neighbors must be part of the solution and not the problem, and she hopes to reconstruct a healthy relationship, supported by strong international protocols in order to prosecute terrorism. She has better chances than Santos to improve relations with Venezuela and Ecuador, but still is a great supporter of the military agreement with the U.S. and criticized Chávez and Correa for their alleged support of illegal armed Colombian groups. Even though her party is part of the Uribist coalition, her candidature will probably be more independent than that of the former agriculture minister, if he had won. This is because experts, like María Jimena Duzán, assured that Arias would ally with Juan Manuel Santos while Sanín would prefer to be more competitive. Of course, as is the case of Santos, she has a history of disloyalties that allow many to believe that her affiliation with Uribe might change as she finds herself closer to being the first woman president of the country. She was a fierce critic of Uribe during his first election in 2002, until he offered her the position of ambassador to Spain. Now that the conservatives have a strong figure and veteran politician as their leader, who has significant electoral experience, they are very eager to be back at the Casa de Nariño. However, Arias still remains very important to her, as his support in the consultancy would virtually assure her presence in the run-off after the May 30th elections. He has not shown as strong support to the Conservative candidate and his many supporters prefer Santos because they feel that he is closer to Uribe. As one of the eternal candidates of the red awnings party, Rafael Pardo is presently not one of the favorites for the presidency. Even though, he has a strong track record and is respected as an intelligent politician, he is considered to lack effective communication skills with the electorate. As it stands, nothing is certain in this election, so Pardo might do well, if he is able to acquire sufficient votes to secure his position in the second round. Possible alliances with other candidates like Germán Vargas Lleras or even the leftist Gustavo Petro may yet provide him a welcome boost if the opposition and politically neutral candidates find themselves overwhelmed by the heavy machinery of Uribism. Many politicians close to the current government thought that the recent results of Pardo’s party in the parliamentary election were a disgrace, since they were formerly the dominant party in the country. In this election they only ranked third in Congress with 17 and 36 in the upper and lower houses respectively. However, Pardo himself emphasized that the results were actually very good for a party that had been out of the presidency for 12 years. The liberals still have strong presence in the northernmost Caribbean coast regions which guarantees at least a million votes of the two million votes required to go on to the second round. Those votes will depend on how he handles winning the “opinion vote,” and whether he decides to enter into a coalition. Pardo’s most important policies and proposals are directed to social aspects that, he believes, have worsened in the Uribe years. The liberal candidate believes that security is important, but not as much as equality and increased employment opportunities issues that the Colombian government must address desperately if it is to balance the South American country’s ever increasing social and economic disparities (Colombia is the second most unequal country in the most unequal region in the world). Although security is not the most important issue on his agenda, Pardo’s proposal for this topic is more comprehensive than that of the present government. He recommends focusing on diminishing violence in cities, a weak point in the last two years of the Uribe administration. This broader policy towards security is one of the reasons why he feels that a change must be made regarding the foreign policy of Colombia. He believes the country is too dependent on the U.S., and specifically the Republican Party, because of its approach towards violence in Colombia which is focused mainly on the FARC guerilla and the war against drugs. Pardo constantly has referred to the mistake made by Uribe when he decided to turn his back on Brazil’s efforts to create a strong regional bloc in UNASUR, in which Colombia now participates grudgingly. He coordinates his domestic proposals with his foreign policy goals, saying that as Colombia’s main problem is inequality, regional policies that are the result of forums in which the rhetoric is rendered into actions are absolutely indispensable for Bogotá. Still, the U.S. is very important for Colombia, but as his ideas regarding drug war policies, internal conflict, and regional matters are so different from Uribe’s, his election would change the relationship with Washington dramatically. Pardo’s vision about the regional conflict with Colombia’s neighbors is one of deep pacifism, so much so that some consider it as almost naïve. The liberal candidate advocates a more active and effective cooperation among the neighboring governments. Pardo believes leaders have a political responsibility and that they must make an effort to cooperate for the sake of each individual nation. Chávez and Correa might agree with these assumptions, but their actions in the last few years show to Pardo that they use insults and conflictive attitudes towards Colombia to generate political and social unity within their own populations. Even worse, if their suspected support of illegal groups are confirmed it would prove a complete lack of cooperation with the legitimate state of Colombia. If victorious, Pardo would at least have the opportunity to bring a new paradigm to the relations with these very important countries for Bogotá. The candidate of the only left-wing party in the country, Gustavo Petro, is not very likely to make it to the second round due to the many difficulties that his party has encountered in the last year. Because of the disunity within Polo Democrático, Petro’s few supporters tend to support him, as an individual, rather than the party itself. After he lost the party nomination in September of 2009, Carlos Gaviria, the candidate with the second most votes in the last presidential election, has shown little support for Petro in this campaign. In addition, the unpopular administration of Samuel Moreno as Mayor of Bogotá also affected the good advances that the “Polo Democrático” has experienced since its creation. Petro is respected as a very clever politician so, even though he is not expected to win, no one is willing to write him off. If he decides to endorse another candidate, he might be a very important ally. Of all the current contenders, Petro has been perhaps the greatest critic of Uribe’s government. The “Polo Democrático” candidate has accused the current president of running a mafia-style government in which the dirty money of right-wing paramilitaries has fueled a large part of the executive’s and legislative’s policies and bills; Petro was the architect outing the scandal of “para-politics.” The government has criticized the Polo candidate of being an ally of the FARC and being too soft regarding the violence that haunts the country. As one would expect from the political left, his proposals support democratization of land ownership, access to credit by poor people along with public banking and opportunities to acquire quality education, as he believes that the policies against the FARC have left behind the social issues. Petro has been unclear, though, about his position in the fight against this terrorist organization. He has been a critic of Plan Colombia and the policy of Democratic Security because of episodes such as the killing of young civilians by the army to use them as fake guerrilla victims, a scandal known as “false positives.” In the first candidates’ debate on Colombian national television, Petro argued that the main issue about FARC is not its military defeat, but the social inequalities in the rural areas that permit the perpetuation of violence. Petro has been clear about his views on the trajectory of Colombia’s future foreign policy and how it must change. He asserted that the Uribe administration did not have a real policy and believes that the country has a golden opportunity to become the bridge between the U.S. (who needs to reconstruct its policies towards Latin America) and the other countries in the region whose interests still remain influenced by Washington. His ideas appear viable, as he wants to reactivate Colombia’s leadership in the Andean Pact, which he believes Uribe neglected due to his obsession with the Free Trade Agreement with the U.S. Unlike Pardo, he does not prefer to be a part of Brazil’s initiative, but rather proposes a Colombian leadership in the Andean region. However, Washington might not consider Petro a close ally, as his policies toward several contentious issues, including internal conflict, trade agreement and drug trafficking differ significantly from Washington’s. One of Petro’s most interesting suggestions is that the left has the responsibility to make Chávez understand that his grievances against Uribe are also against the Colombian society, and he is the only candidate that had a direct personal connection to the Venezuelan president. This clearly would give him the opportunity to improve the relations between the two countries, if he were elected president. However, most Colombians do not find this a positive characteristic, as the strong campaign in the country against Venezuela’s and Ecuador’s presidents has polarized the social environment. Germán Vargas, president of the “Cambio Radical” party (once part of the Uribist coalition), was a strong candidate for the presidency only a few months ago. Today, after a big loss in the Congressional election due to the switch of some senators to the “U” Party and the emergence of new strong candidates that bring fresh air to traditional muddy politics, such as the now allied Antanas Mockus and Sergio Fajardo, Vargas has a difficult path ahead of him if he wants to become the next president. Despite this, he is still a very experienced politician with heavy machinery behind him that could get him plenty of votes; he already has looked into an alliance with Rafael Pardo. Unsurprisingly, the Liberal declined the offer, but as the race becomes even more contentious as May approaches, this could soon change. The president of “Cambio Radical” is not politically dissimilar from Uribe. The difference between their respective policies is mostly based on the clash between the two personalities when the referendum for the second reelection was first presented. Vargas Lleras’ program for national politics is being accepted even by some of his opponents, presenting a strong government plan that “embodies the principles of Uribe’s Democratic Security strategy but with tremendous emphasis on social programs,” stated Vargas himself in an interview with El Tiempo last January. Vargas Lleras’ weakness emerges from broad proposals for Colombia’s foreign policy. The most innovative thing he proposed is to change the institutional structure of the Minister of Foreign Affairs, so it once again assumes leadership as the main actor in Colombia’s international politics. But his thematic agenda is far from being as complex as the ones proposed by his rivals. Vargas presented it in the eastern city of Cúcuta on March 16th of 2010. The presidential hopeful talked about deepening Colombia’s relation with the U.S., as well as trying to reintegrate with the Andean Community and fostering closer relations with Europe to act as a counterweight for the U.S. in current foreign policy matters. Also, he explained the importance of cooperating more with the Asia-Pacific region and strengthening multilateral forums, such as UNASUR. These all sound similar to Uribe’s proposals early in his tenure, which means that Vargas Lleras would maintain very similar, if not the same policies, as Uribe has now. Regarding neighboring countries, Vargas Lleras is in a good position to negotiate with Chávez, as his relationship with both, the Venezuelan leader and Correa, is much better than that of Santos. But as long as he agrees with the Democratic Security policies and the special relation with the U.S., the reservations between the three countries, as well as the mistrust, is likely to remain. Antanas Mockus, a respected academic, was the winner in the internal consultation of his party where he ran against other two former Mayors of Bogotá, Enrique Peñalosa and Luis Eduardo “Lucho” Garzón. The surprise about this result is not the fact that Mockus won, but the electoral phenomenon that the party’s campaign caused. The Partido Verde consultation received more votes than anticipated, and they even won seats in the Senate and the Chamber of Representatives. Their party’s candidature resulted in an atypical outcome, as they worked as a team and valued each other’s ideas and critiques in the public arena–something that was refreshing, especially for young students from all over the country. Before the elections, the “Partido Verde” did not seem to have a strong backing as its candidates used only very few advertisements and were very focused in the country’s capital. Their success has given Partido Verde a new position in the political map of presidential elections, and today, Mockus looks like the candidate with whom all others want to ally themselves with. In early April, the independent candidate and former mayor of Medellín, Sergio Fajardo, decided to support Mockus in his pursuit of the presidency, accepting the latter’s proposal of being the vice-presidential candidate. Fajardo plummeted in polls after the massive defeat of the “Convergencia Ciudadana,” the political movement that he was supporting in the congressional elections. This lost him a lot of votes in the public opinion polls and forced him to get closer to Mockus, as the latter today is the most important electoral phenomenon. Both political leaders, Fajardo and Mockus, are seen as the hope for political renewal in the country, and joining together seemed like the smartest move to try to compete with Santos and Sanín towards reaching a second round. The former mayors of Medellín and Bogotá are very well-known in their respective cities, and dragging in the two biggest urban centers of the country to their campaign gives their candidature a much stronger presence. Mockus’ proposals are directed to change the way in which politics are done, and how the leader relates to the country’s citizens. Meritocracy is a cornerstone of his government proposals, along with the total annihilation of corruption. When Mockus was asked about Uribe’s successful Democratic Security strategy, he said that it already is dried out, and what follows is the “Democratic Legality,” meaning the empowering of the justice structure rather than the military structure that has been the current administration’s basic approach. As for his economic and social policies, he bases them on the ideal of a total elimination of corruption. The Partido Verde candidate’s proposal regarding Bogotá’s problems with Venezuela and Ecuador is to create a greater sense of interdependence among the nations, giving special attention to nearby South American countries and the Caribbean, similar to the 1991 Constitution, which expresses the ideal of working toward regional unity. This implies that if he would be ready to sacrifice his country’s relationship with the U.S. to a certain extent, Colombia could benefit more from regional integration. Colombia’s political culture is waiting for the results of a very active electoral competition. The changes taking place right now are going to affect the government’s most important leadership categories, ones that have been in place for the last 8 years. The extent of these changes will depend on the dynamics involving the newly elected Congress and Colombia’s next president. For now, the world is awaiting the outcome of the most crowd-arresting and memorable elections that have befallen the country –because of the uncertainty of the winner and the number of possible outcomes on the horizon for the May 30th ballot, when the first round of voting takes place. A likely result is that Juan Manuel Santos will be one of the candidates in the second round run-off, but this could change suddenly, as occurred in 2002, when an unknown Álvaro Uribe arose meteorically in the last months of the electoral contest to become the first president elected in a first round. The intricacies of political alliances are only starting, and every candidate has his own particular strengths and preferred path to victory, so any of them could prove to be the person who will be sworn in at the Casa de Nariño on August 7th. Petro and Vargas Lleras seem to be the ones with the least chance. Santos, Sanín and Mockus have the best shot, which means it is likely that relations with Venezuela are not going to improve substantially and the U.S. is still going to be a crucial actor for Colombia’s foreign and internal interests. The best thing about the electoral competition is not only who is going to win, but that it is actually happening: that there is going to be a new head of state, and that democracy is still alive, although not necessarily well in Colombia. Uribe will leave office with an abundance of critics, but also he will leave as the most popular president in history, and that is a fact no one can deny. Whether his legacy will be one that rejects or validates the evaluations of his opposition does not necessarily matter at this point. What does is that on May 30th Colombia will have a new leader to assess and judge, and to continue to ignore or finally deal with some of its fundamental issues.